Fr. a: Head round with rounded top. L. 0.091, Diam. head 0.017 m.
Fr. b: p.L. 0.050, Diam. head 0.017 m.
Two heavily corroded iron nails (a, b), the larger perhaps intact and the smaller broken at the tip. 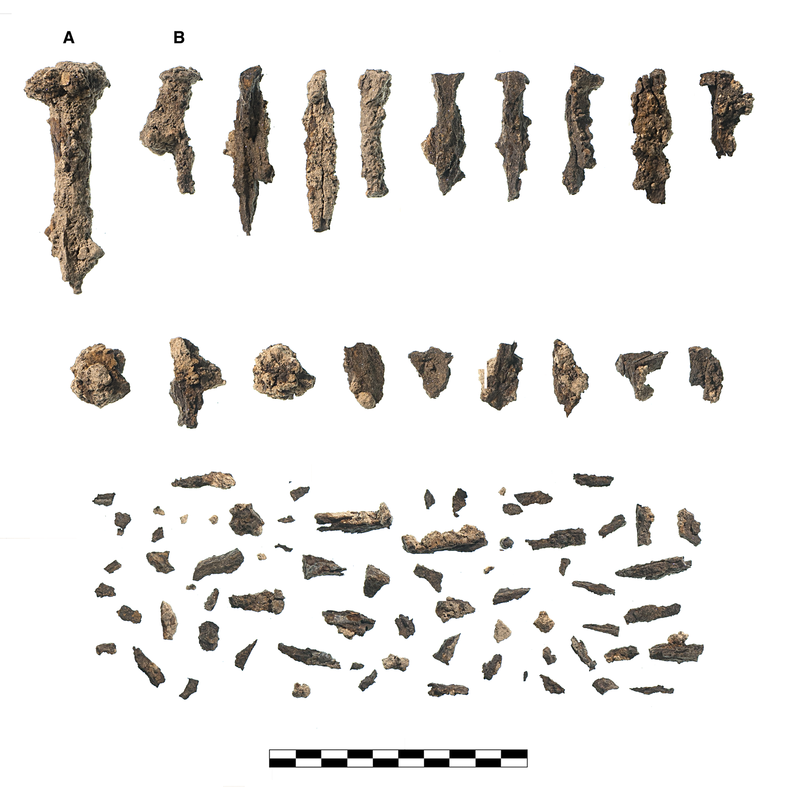 Together with five fragmentary heads, fragments of eight broken shanks, and 65 very small, detached, amorphous fragments (MNI 4). Moderate to heavy corrosion.